Researchers have discovered the protein responsible for preserving the antibody-producing cells that lead to long-term immunity after infection or vaccination has been found. The protein is necessary for antibody-producing plasma cells to migrate into bone marrow, preserving them for many years or even decades. Plasma cells are created when the immune system is exposed to pathogens such as viruses or bacteria. “When our immune system encounters a new pathogen, it can create plasma cells that secrete antibodies to specifically prevent future infections, generating immunity,” said Kim Good-Jacobson from the Walter and Eliza Hall Institute in Melbourne in a paper appeared in the Journal of Experimental Medicine. The team discovered that when the gene that produces the protein called Myb was removed, plasma cells were no longer able to move into the bone marrow to provide long-term immunity. 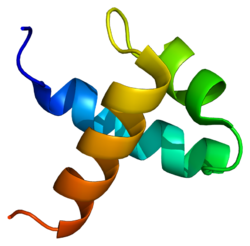 “Myb is a type of protein called a transcription factor, which binds to DNA and, in effect, switches genes ‘on’ or ‘off’,” said Good-Jacobson. If we can understand how to flip the molecular switch in plasma cells and activate Myb production, we might be able to encourage the immune system to create long-term immunity for a range of infections, authors noted.